We’re kicking off the New Year with our iconic pink box, featuring 5 beauty products to nourish you inside and out. We’re hitting the reset button and putting self-care at the top of our priority list. Including handpicked organic makeup that’ll heal and enhance in a single swipe, and sumptuous skincare that'll coax our complexions back to full health following a busy party season, our January box will help you reboot and rejuvenate. Ready… set… let’s pamper! I loved every item in this box, particularly the Beauty Beneath tablets. 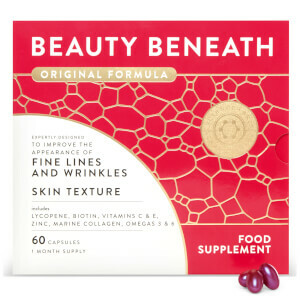 I already tried them some months ago as I needed a supplement to take care of my skin, and I had great results. 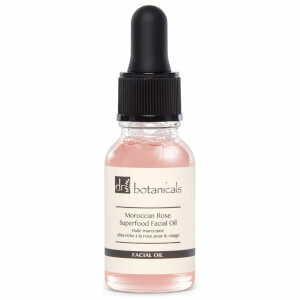 I found wonderful the Moroccan rose oil as well, it's gentle and nourishes my skin with a very light formula. A special mention to Apicia cream blush: I didn't use cream blushes because I prefer powders to create my make up but...I have been surprised! The application is very easy and the result is fantastic! This was my first ever beauty box, and I loved every bit in it. My favourite is the Beauty Beneath, I was more than surprised to see the full sized box inside, as I know it cost €50 normally. My skin it's combination skin, with some very dry areas and sensitive as well. I always take vitamins to help it from the inside, and this pack came in very handy. Also, I was very impressed with the mix of skincare and makeup. The mask is a nice touch, leaves the skin very clean and feeling smooth. The primer is lovely, applies very easy and keeps the makeup put all day. 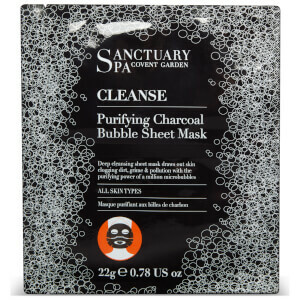 I love it as it also has green tea and it's suitable for sensitive skin as well. The blush was a surprise, I have never used liquid blush before, but I find it lovely, easy to apply and mostly good for travel, as it's small enough and the colour builds up. The only thing I don't have much to say about is the face oil, I only tried it once. It feels very watery though for a face oil, I love those and I have an entire collection of them. I'll keep it for travel, it's a great size for that. Overall, I absolutely loved the box and everything inside, and I find the mix of skincare and makeup was great. I really liked this months box. Not just aimed at the YA market, it came with a nice variety of products and all things I would use. I am using the supplements (thankfully, I am not a smoker - these are NOT recommended, if you are). The face mask was great fun and the other products will be tried and tested over next few weeks. Thumbs up from the older subscriber!